Schedule a service call for a Bakers Pride appliance repair today! I give Mike 5 out of 5 stars. My commercial kitchen oven stopped working and we where in need of a repair asap. We called Commercial Appliances Repair and Mike the technician came out with 2 hours. He had all the tools and repaired our Bakers Pride oven. It’s working as good as new. 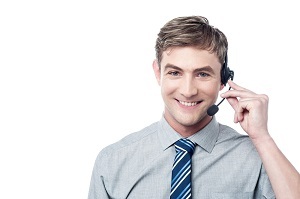 We are grateful to have Commercial Appliances Repair on our speed dial for our appliance repair. Has your trusty Bakers Pride appliance stopped working? Has your commercial oven stopped heating correctly? Have the pilots on your stove range stopped turning on? It sounds like it’s time for a routine appliance repair. Maybe your appliance is just a little off and needs a minor adjustment. Do not delay the repair process any later than you have to. When your Bakers Pride appliances have stopped working in regards to the way they should be working, call on the appliance repair of Commercial Appliances Repair to make your Bakers Pride good as new again. No matter the make or model, our technicians can help you today. Finding out that your appliance is barely working can cause a lot of frustration in the kitchen. Chefs and sue chef employees working in a commercial kitchen have a structured schedule. 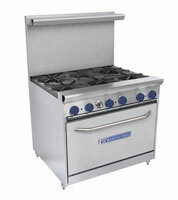 Work cannot effectively get gone with working and reliable commercial appliances. Dealing with an oven that won’t turn on to pilots not staying on calls for an appliance repair. As with any and all Bakers Pride appliance repairs, you should remain poised and call out for repair from a trusted commercial appliance technician. You can rest assured when you schedule an appointment with us; Los Angeles’s most trusted commercial appliance repair experts will be at your location in record time. 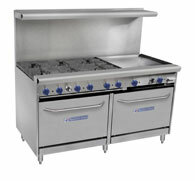 We offer same-day repair and service on all Bakers Pride commercial appliances. Commercial Appliances Repair has a great team of certified experts ready to help you get your commercial appliance back to perfect condition. Our Bakers Pride technicians can essentially handle any type of repair on the appliance. We are diligent and very careful in our diagnostics process. Every technician that works for us at Commercial Appliances Repair has a lot of knowledge and experience to get going with quality commercial appliance repair.